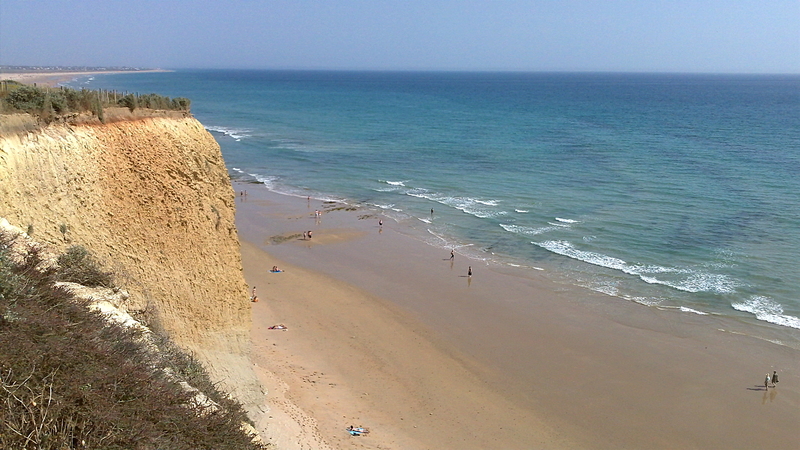 Playa Fuente del Gallo is a beautiful sheltered beach located to the north of Conil de la Frontera. The sandy beach is over 800 metres long, about 35 metres wide and backed by steep cliffs. The only access to Playa Fuente del Gallo is a walking path that leads down to the beach from the Fuente del Gallo residential area. At low tide you can also reach the beach from Playa de la Fontanilla. Because Playa Fuente del Gallo almost completely disappears at high tide, the beach can get crowded at times (especially in July and August). In general, however, the beach is pretty quiet. When the sun goes down it casts a deep orange glow on the cliffs that contrasts beautifully with the blue of the sea and sky. © 2011-2016 Shorebreak Travel Media. Powered by Blogger.